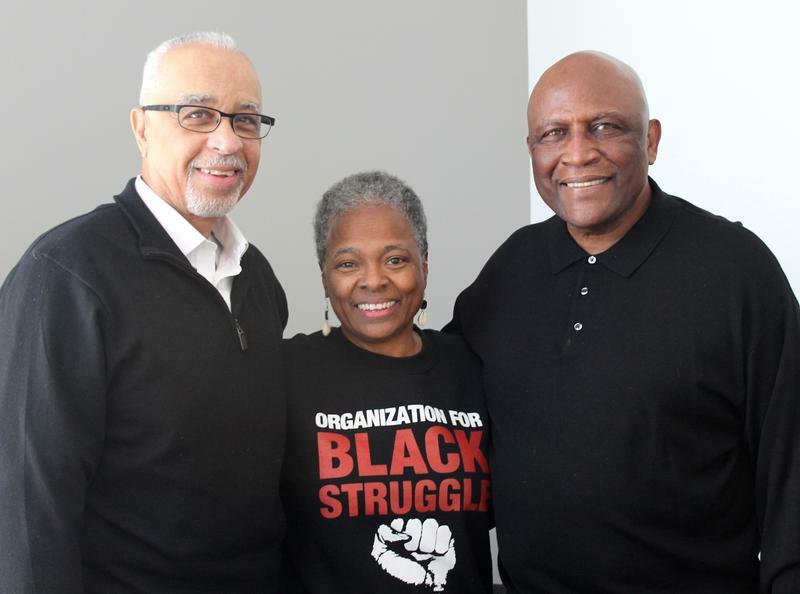 Longtime St. Louisans (from left) Mike Jones, Jamala Rogers and Virvus Jones joined Wednesday’s show to reflect on the impact of what occurred on April 4, 1968. Mike Jones remembers being “shocked but not surprised” when he heard that Rev. Martin Luther King Jr. had been murdered. The assassination of the civil rights leader occurred a half-century ago this week in Memphis, Tennessee, when Jones was a 19-year-old freshman at the University of Missouri–St. Louis. Meanwhile, on the other side of Missouri, a then-17-year-old Jamala Rogers sprang into action at her segregated high school, where she was president of the student council. She tried to organize a school assembly, “something to focus that outrage and anger,” as she recalled during this week’s discussion with host Don Marsh. But the white principal was “fearful of gathering that many black students together,” Rogers said. For Virvus Jones, who had returned to St. Louis after serving in the Vietnam War just weeks prior, the news of King’s death brought immediate tears. The three guests discussed not only their memories of that day but the tumultuous year that surrounded it. They also shared their perspectives on the distinctions between change and progress, what they make of the current momentum among younger generations – and where they each stand on the spectrum between hope and despair. “Fifty years later, Donald Trump is the president of the United States, and [we’ve seen] substantive change, because Barack Obama being president of the United States is like landing a man on the moon in 1969,” Mike Jones said, explaining why he remains hopeful but is at the same time not optimistic. “It’s a profound cultural and psychological moment. For Rogers’ mother, King’s death seemed to trigger a sense of deep anguish. At one point in the St. Louis Public Radio conversation, Marsh brought a voicemail from a listener into the discussion. The resident of Quincy, Illinois, who was a child at the time of King’s assassination, recalled a white neighbor she’d previously looked up to gleefully cheering the news of his death. Producer’s note: Host Don Marsh was a reporter in Baltimore when Rev. Martin Luther King Jr. was murdered, and in Marsh's book "Flash Frames: Journey of a Journeyman Journalist” he describes his experience covering the riots that occurred in that city following the assassination. Marsh also was on assignment in London when James Earl Ray was apprehended, and he contributed to coverage of that story. The book is available on Amazon and offers insight into a wide variety of national and world events over the past 50 years. This article originally appeared in the St. Louis Beacon. 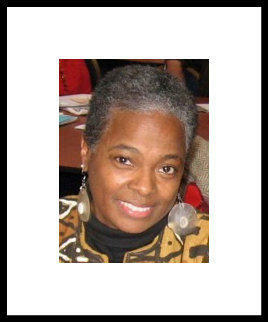 - Long before most St. Louisans knew about Kwanzaa, paid close attention to gay rights, thought seriously about local control of the St. Louis Police Department or even were willing to consider putting the brakes on capital punishment, Jamala Rogers was working on these issues, mostly at the grass-roots level. Lately, I can’t help but reflect on a 1968 best-seller book that was widely read and discussed but brought about little change. The book was the infamous Kerner Report. The book was the published report of the National Advisory Commission on Civil Disorders appointed by President Lyndon B. Johnson in 1967. The seven month study looked at the underlying causes of city uprisings from 1964-1967. This article first appeared in the St. Louis Beacon: Assassinations. Activism. Love-ins. “Laugh In.” Bell bottoms. Bombs. The year 1968 was an explosion of world-changing events from the murders of Dr. Martin Luther King, Jr. and Robert F. Kennedy to the ubiquity of the peace sign. This article first appeared in the St. Louis Beacon: November 13, 2008 - A history-making president at a historic juncture, President-elect Barack Obama has both symbolized and promised change. His election was possible because of the change the nation has already undergone -- and because of the high expectations of even more change his candidacy promised.